We will be more than happy to welcome you in Tolo for the celebration of the Carnival and to offer you sweet and salty treats made from the housewives of our village. 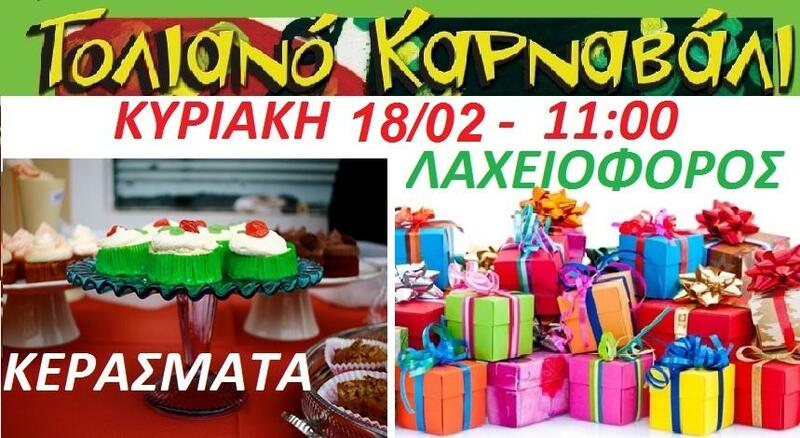 We will be waiting for you in the center of Tolo from 11.00 in the morning!!! During the celebrations of Carnival in Tolo, there is going to be a lottery with many prizes!!!! You can buy the lottery tickets from our stand which will be placed in the center of Tolo from 11.00 in the morning.